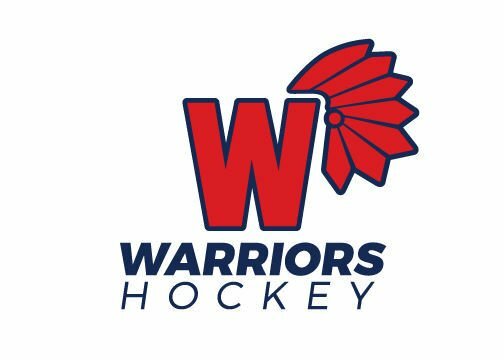 DUBUQUE — Ben Sinnott scored four goals and Waterloo improved to 19-0-0-1 on the season with an 8-0 Midwest High School Hockey League route Friday at Dubuque. Kole Latusick added a pair of goals while Carter Herbst and Ethan Fox also scored for the Warriors. Waterloo raced out to a 3-0 lead in the first 7 minutes, 20 seconds and held a 4-0 advantage after the first period. The Warriors then tacked on a pair of goals in each of the final two periods. Latusick and Herbst added three assists each, Fox had a pair and Jack Harrison, Nick Samuelson, Colton Burch and Sinnott all had one. Chase Pabst recorded his ninth shutout of the season in goal. Dubuque (2-16-1-0) was outshot 39-7 on the night. FIRST PERIOD — 1. Waterloo, Herbst (Latusick), 1:09. 2. Waterloo, Sinnott (Latusick, Herbst), 4:56. 3. Waterloo, Latusick (Fox) 7:20. 4. Waterloo, Fox (Jack Harrison) 11:16. Penalties — Sinnott-Wat. (cross-checking) 5:18, Millius-Dub. (holding, unsportsmanlike conduct) 8:21, Husemann-Dub. (tripping) 14:21, Germaine-Dub. (slashing) 14:46. SECOND PERIOD — 5. Waterloo, Sinnott (Samuelson), 4:07. 6. Waterloo, Sinnott (Latusick, Herbst) 11:13. Penalties — Herbst-Wat. (cross-checking) 1:06, Stecklein-Dub. (tripping) 2:08, Smith-Wat. (cross-checking) 3:03, Jack Harrison-Wat. (hooking) 3:03, Woodyard-Dub. (charging, unsportsmanlike conduct, misconduct) 3:03, Lesch-Dub. (cross-checking) 5:46, Fox-Wat. (high-sticking) 6:57, Husemann-Dub. (roughing) 6:57, Lamb-Wat. (hooking) 8:04, Roraff-Dub. (roughing) 15:58. THIRD PERIOD — 7. Latusick (Herbst, Samuelson), :17. 8. Waterloo, Sinnott (Fox, Burch), 8:17. Penalties — Smith-Wat. (hooking) 2:48, Burch-Wat. (slashing) 5:55, Woodyard-Dub. (holding) 8:17. Goaltenders — Waterloo, Pabst (7 SOG, 7 saves). Dubuque, Tillman (39 SOG, 31 saves). Officials — Carlson, Blondin, Marshall. Highlights: John Harrison, Harrison Foss, J.P. Smith, Caden Pries and Christian Heiser had goals for Waterloo. Heiser and Harrison also had two assists each with Landon Sturch, Landen Schoonover and Foss collecting one each. Elijah Marchese stopped 18 shots in goal. FIRST PERIOD -- 1. Waterloo, Herbst (Latusick), 1:09. 2. Waterloo, Sinnott (Latusick, Herbst), 4:56. 3. Waterloo, Latusick (Fox) 7:20. 4. Waterloo, Fox (Jack Harrison) 11:16. Penalties -- Sinnott-Wat. (cross-checking) 5:18, Millius-Dub. (holding, unsportsmanlike conduct) 8:21, Husemann-Dub. (tripping) 14:21, Germaine-Dub. (slashing) 14:46. SECOND PERIOD -- 5. Waterloo, Sinnott (Samuelson), 4:07. 6. Waterloo, Sinnott (Latusick, Herbst) 11:13. Penalties -- Herbst-Wat. (cross-checking) 1:06, Stecklein-Dub. (tripping) 2:08, Smith-Wat. (cross-checking) 3:03, Jack Harrison-Wat. (hooking) 3:03, Woodyard-Dub. (charging, unsportsmanlike conduct, misconduct) 3:03, Lesch-Dub. (cross-checking) 5:46, Fox-Wat. (high-sticking) 6:57, Husemann-Dub. (roughing) 6:57, Lamb-Wat. (hooking) 8:04, Roraff-Dub. (roughing) 15:58. THIRD PERIOD -- 7. Latusick (Herbst, Samuelson), :17. 8. Waterloo, Sinnott (Fox, Burch), 8:17. Penalties -- Smith-Wat. (hooking) 2:48, Burch-Wat. (slashing) 5:55, Woodyard-Dub. (holding) 8:17. Goaltenders -- Waterloo, Pabst (7 SOG, 7 saves). Dubuque, Tillman (39 SOG, 31 saves). Officials -- Carlson, Blondin, Marshall.